Spain are out of the World Cup as we rightly predicted, in the hands of football minnows Russia, since the days of Soviet Union, Russia are making it to the last eight for the first time ever, they did what they had to do, defend deep and with lots of discipline too. Brazil saw how Uruguay bested Portugal over 90minutes, they saw how their arch-rivals lost in the hands of Le Bleus, they witnessed the fall of the super talented Spaniards in the hands of lowly Russia, they have to be wary of banana peel in the form of Mexico. Mexico lighted up the World Cup with their jaw-dropping performance against Germany, no one gave them a chance against the defending champions, they were fearless, they went for it without holding back, they got what they wanted and even went one better against Korea, but for a moment in their final group match, they looked like going out of the world cup in an embarrassing fashion, 3:0 loss to Sweden meant they had to wait for the result at the other end, it was in their favour and they had South Korea to thank for that, all that are behind, now they face one of the surviving favourites, Brazil. Man for man, talent for talent, Brazil is gulf apart but Russia and Uruguay have proven that you can achieve anything if you believe, yes Brazil are the favourites to progress, but Javier Hernandez, Hirving Lozano, Guillermo Ochoa and Carlos Vela would definitely have other ideas. How will they set up? 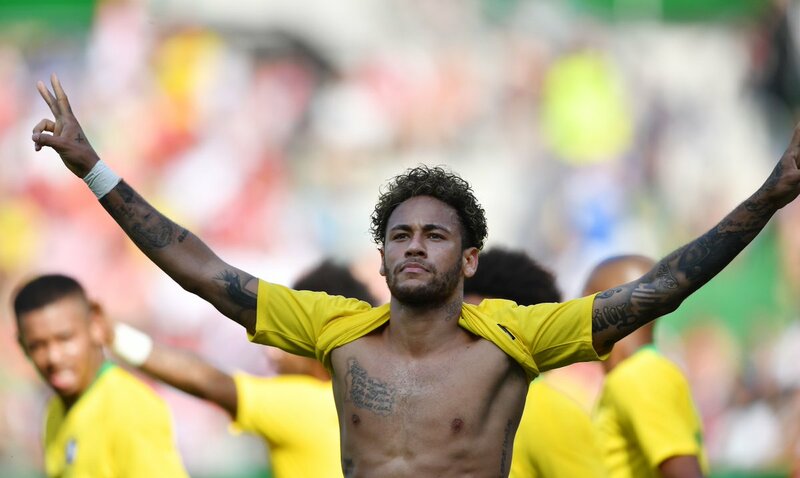 Brazil are still built around Neymar, although the main driver is Phillipe Coutinho, the flexibility of Paulinho will prove handy to the dynamics of the Brazilian midfield, not sure Tite would be cautious, why should he? If his boys can hug the line neatly and cut back for tap-ins, Mexico will crack over time like they did against Sweden and be hurt; what can Mexico do? Unfortunately, they can’t sit back and allow bombardments; they have to do exactly what they did against Germany, go for it fearlessly, attack and defend together, but unlike they did against Sweden, they must take their chances when they come.